USB Driver is a compulsory thing to be installed on you PC so that your mobile device can interact with your PC. These drivers help us to connect our phone / tablet to the computer and perform tasks like transferring data, syncing your device with a PC, using tools and rooting and flashing firmwares on our device. Almost every manufacturer provides USB drivers with the handset package. 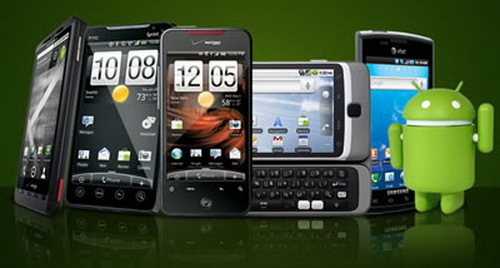 Here, we are providing the links to USB drivers for most Android device manufacturers. Please note that the drivers provided below are compatible with almost all devices made by the respective brands. If the downloaded drivers do not work for you, visit the official site to download the specific USB drivers for your device. 1. Samsung. Download Samsung Android Smartphone Driver Pack from here, here or here. - ASUS Android USB drivers for Windows_20120209 (PadFone, Transformer Pad, Nexus7, TF101, TF101G, TF101-WiMAX, SL101, TF300T, TF300TG, TF300TL, TF201, TF700T, ME171, A66, TF700K). - Connect your Android-powered device to your computer's USB port. Windows will detect the device and launch the Hardware Update Wizard. - Select Install from a list or specific location and click Next. - Select Search for the best driver in these locations; un-check Search removable media; and check Include this location in the search. - Click Browse and locate the USB driver folder. - Click Next to install the driver. - Connect your Android-powered device to your computer's USB port. Windows will detect the device and launch the Found New Hardware wizard. - Select Locate and install driver software. - Select Don't search online. - Select I don't have the disk. Show me other options. - Select Browse my computer for driver software. - Click Browse and locate the USB driver folder. As long as you specified the exact location of the installation package, you may leave Include subfolders checked or unchecked—it doesn't matter. - Click Next. Vista may prompt you to confirm the privilege elevation required for driver installation. Confirm it. - When Vista asks if you'd like to install the Google ADB Interface device, click Install to install the driver. - Connect your Android-powered device to your computer's USB port. - Right-click on Computer from your desktop or Windows Explorer, and select Manage. - Select Devices in the left panel. - Locate and expand Other device in the right panel. - Right-click the device name and select Update Driver Software. This will launch the Hardware Update Wizard. - Select Browse my computer for driver software and click Next. thanks. i've been looking sometin like dis..